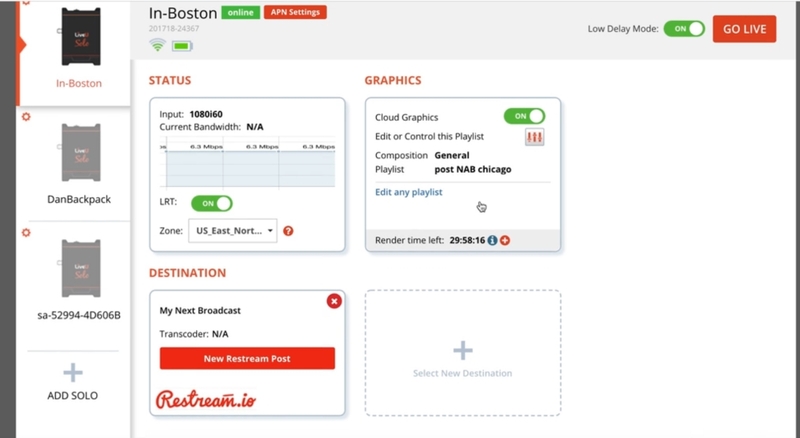 Restream service is fully integrated into LiveU system, which makes it really easy to connect and stream with. Let's jump to the process right away. 1. 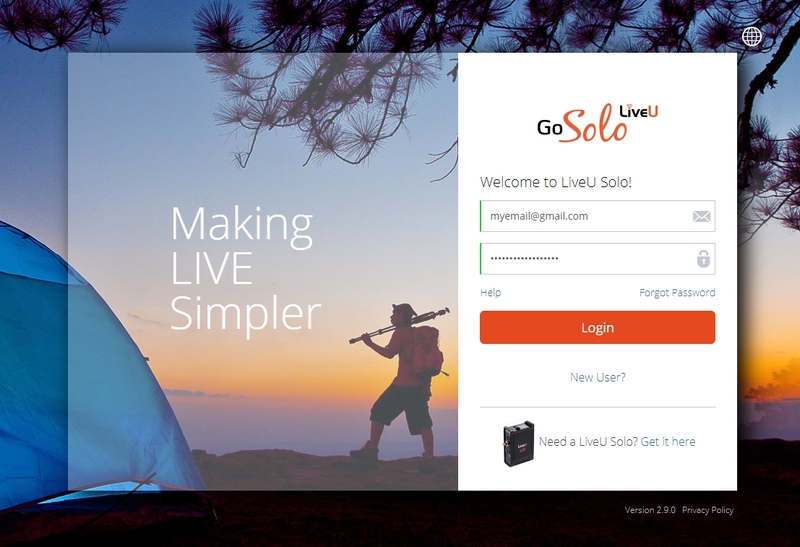 Head on to LiveU and log in to your account. 2. On the main panel choose "Select new destination"
3. 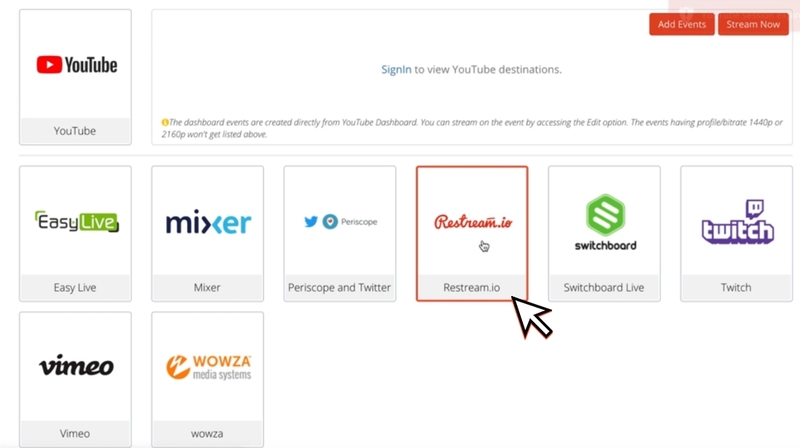 Scroll in to find Restream in the list and click on it. 4. 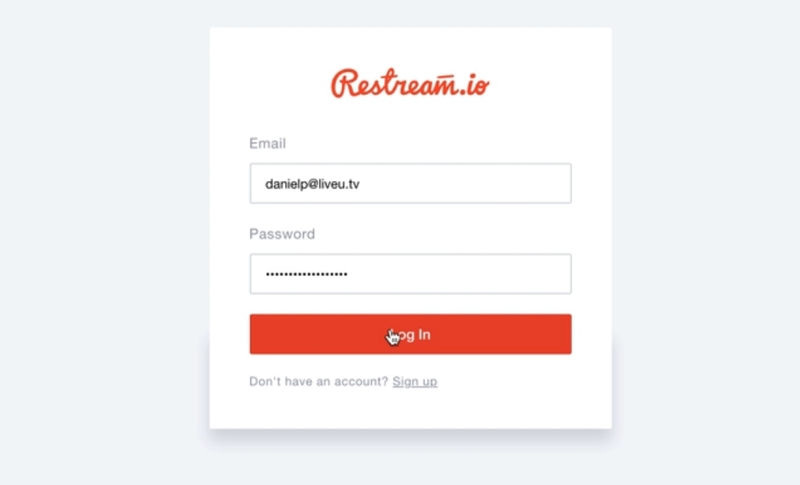 Enter your Restream account data and log in. 5. 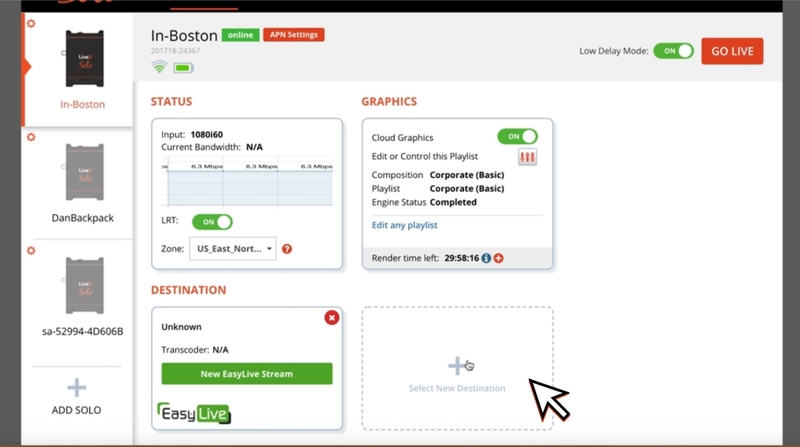 Allow Restream application access. 6. 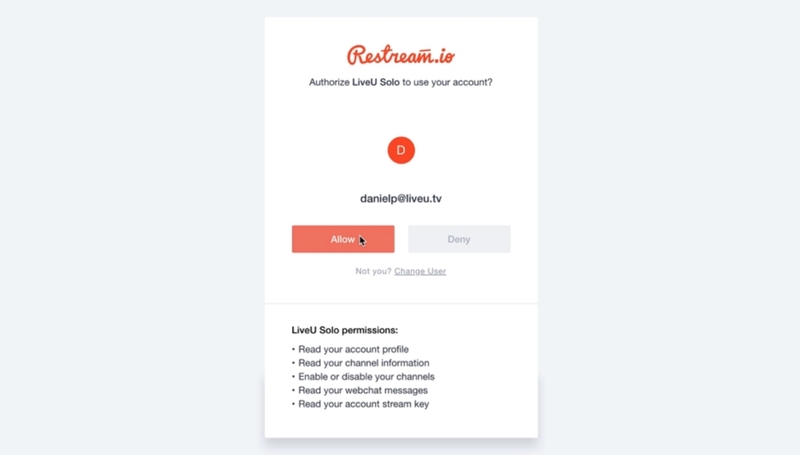 After LiveU will authorize your Restream account you will get to the output destination options page. 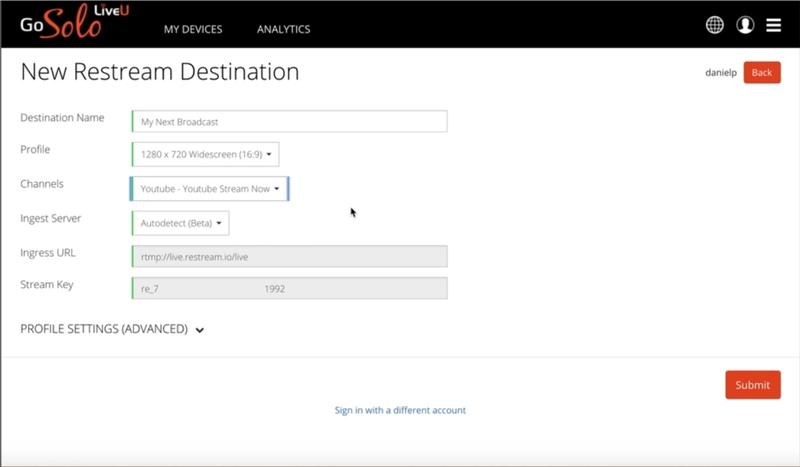 Here you can choose your streaming profile and channels you want Restream to stream to. As well as pickup the best streaming server or leave it for Restream to assign automatically. 8. Now you all set and ready to go, just click on "GO LIVE"